Let check what others say about me below! All perfectly done. Great job ! Calvin guided me through the process. He's very helpful. 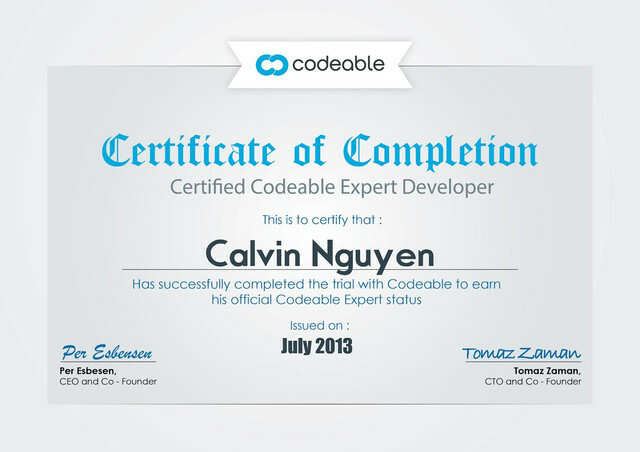 Working with Calvin was an exceptional experience. He communicated quickly, clearly, and got everything done very fast. I would definitely work with Calvin again. Thank you! Excellent interaction and work done to scope. 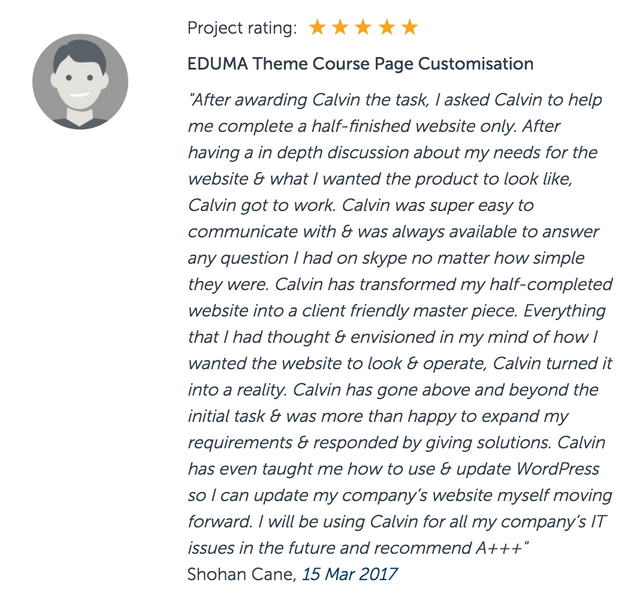 Calvin took care of all the problems we we’re having with WooCommerce - their support should hire him :) He added additional products for us with excellent communication, service and professionalism. He is obviously a very valuable employee at Coedable. Excellent work, great communication. Fast completion of tasks. I would highly recommend Calvin. Worked with Calvin on a few projects now all have been done with great care and attention. Excellent work. Fast and efficient. Great communication. Highly recommended. Calvin was quick and responsive. I asked to work with him because he offered advice about another project I’d posted, in which he showed me it was such an easy fix, that I didn’t need to actually complete the project He added value before even getting paid to do so. Calvin went above and beyond to make sure I was completely satisfied with the result. I can highly recommend his services.